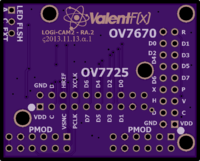 2 layer board of 3.71 x 2.09 inches (94.3 x 53.0 mm). Uploaded: November 14th, 2013 09:56. 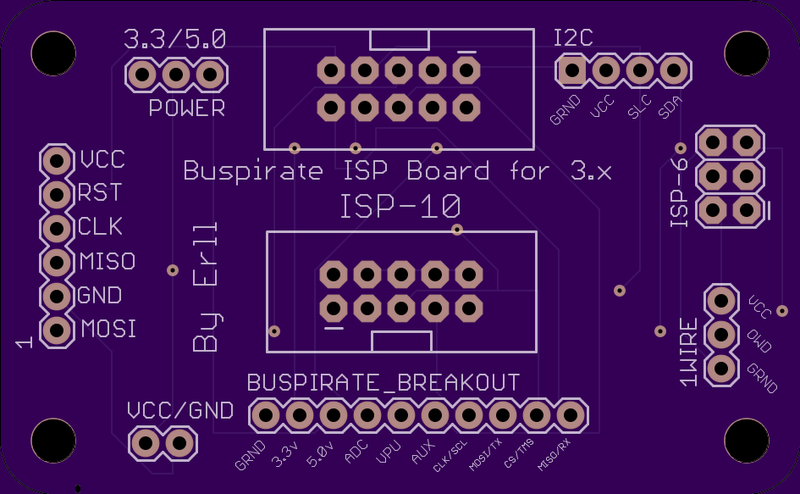 2 layer board of 6.30 x 3.94 inches (160.0 x 100.0 mm). Uploaded: November 14th, 2013 10:00. 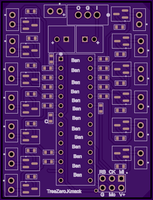 2 layer board of 1.08 x 0.32 inches (27.4 x 8.2 mm). Uploaded: November 13th, 2013 23:52. 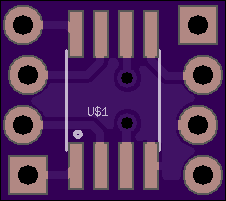 Almost an exact duplicate of the original, all I did was change the ground to a ground plane on the bottom of the board, to hopefully help with some signal shielding. Please see the original at https://github.com/johnboiles/BaofengUV5R-TRRS. Thank you John. 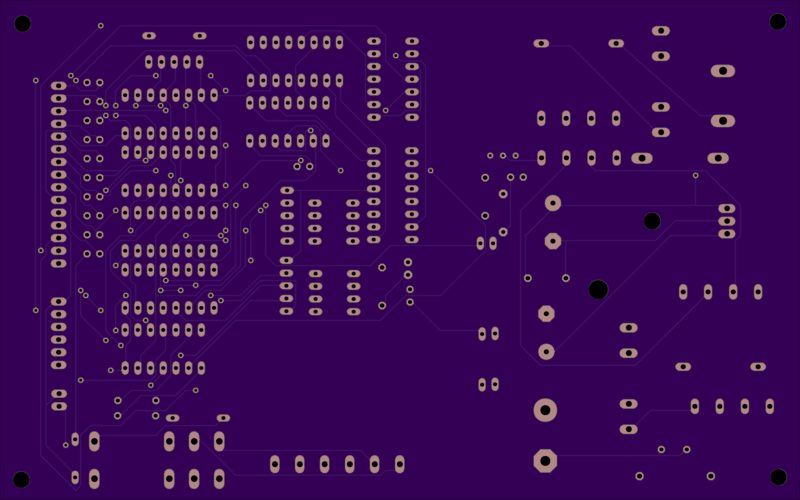 2 layer board of 4.12 x 1.48 inches (104.6 x 37.5 mm). Uploaded: October 20th, 2013 21:47. 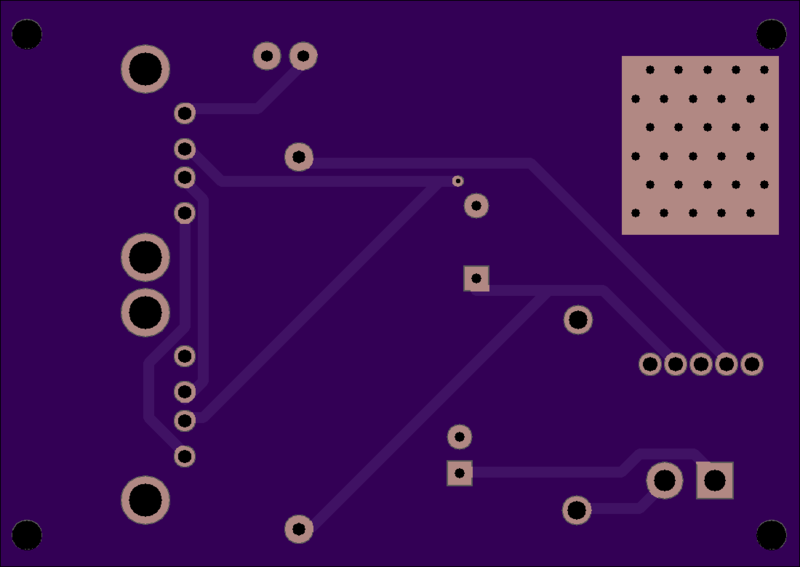 2 layer board of 1.73 x 1.40 inches (43.9 x 35.5 mm). Uploaded: November 13th, 2013 20:32. 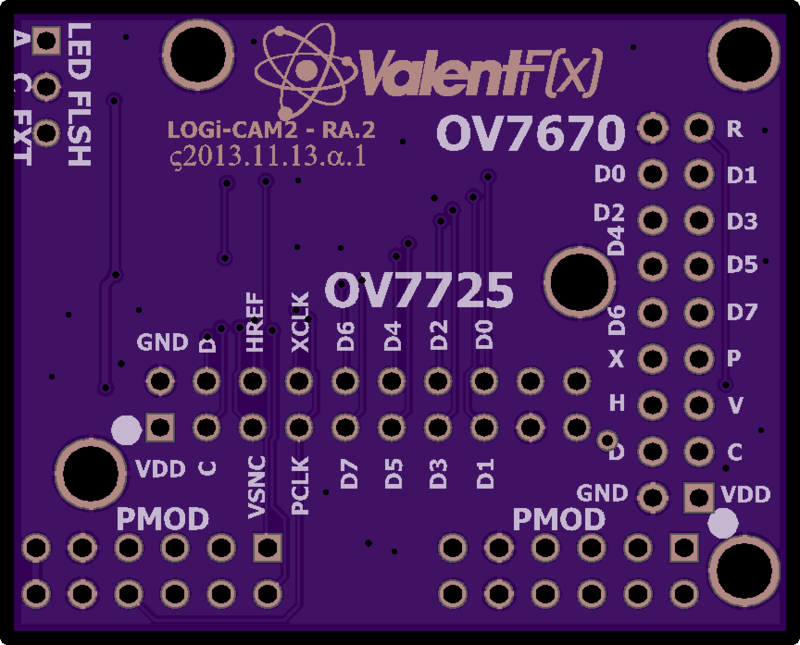 2 layer board of 0.72 x 1.14 inches (18.2 x 28.9 mm). Uploaded: November 13th, 2013 06:38. 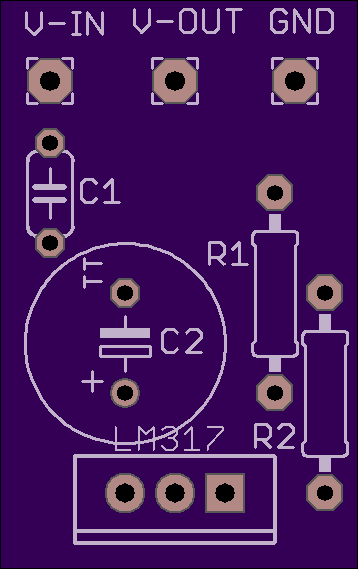 A simple board to set up your LM317, use a calculator to find resistor values. C1 is .01μf, c2 can be anything but 47μf is good. 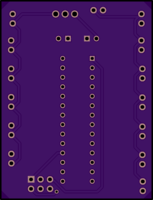 2 layer board of 0.50 x 1.60 inches (12.7 x 40.6 mm). Uploaded: November 13th, 2013 05:07. 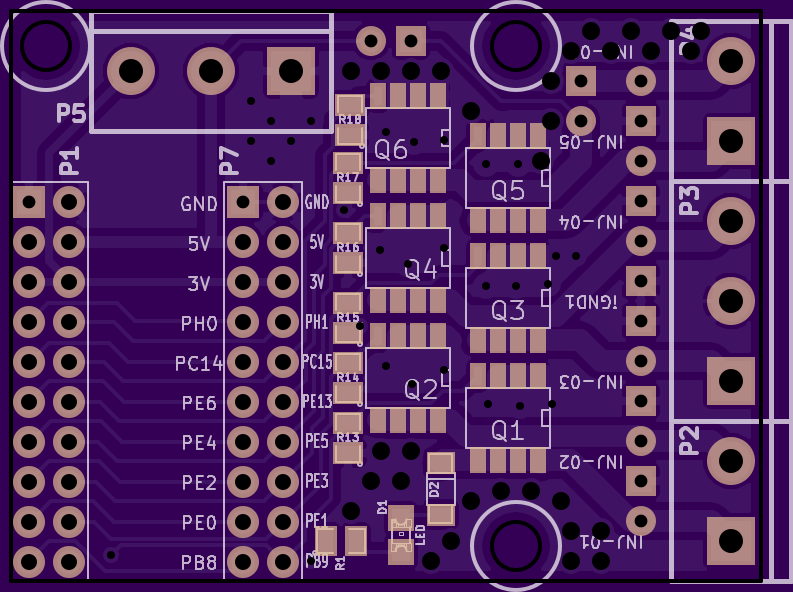 2 layer board of 4.73 x 2.96 inches (120.2 x 75.2 mm). Uploaded: November 12th, 2013 15:41. 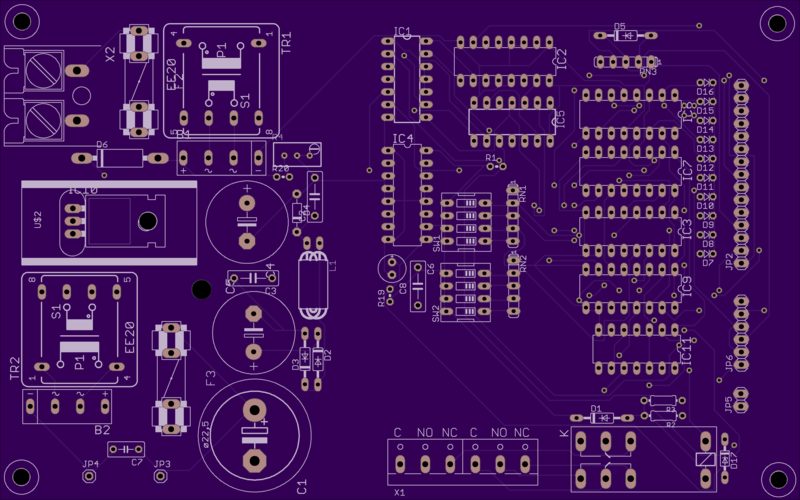 Now with mostly SMD parts, GPS and WIFI. 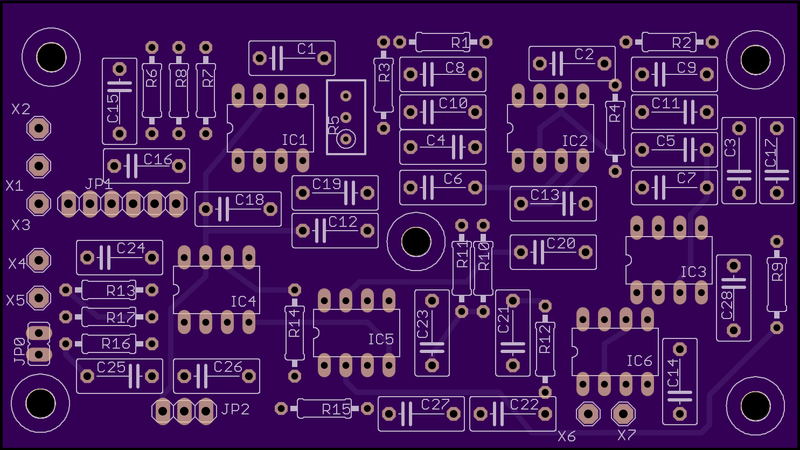 2 layer board of 2.36 x 1.46 inches (60.0 x 37.0 mm). Uploaded: June 23rd, 2013 03:09. 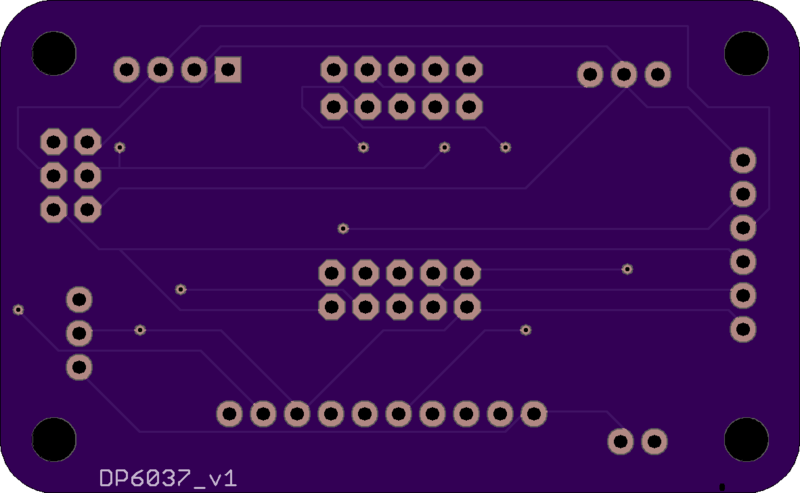 2 layer board of 2.20 x 1.56 inches (55.9 x 39.6 mm). Uploaded: November 11th, 2013 02:45. 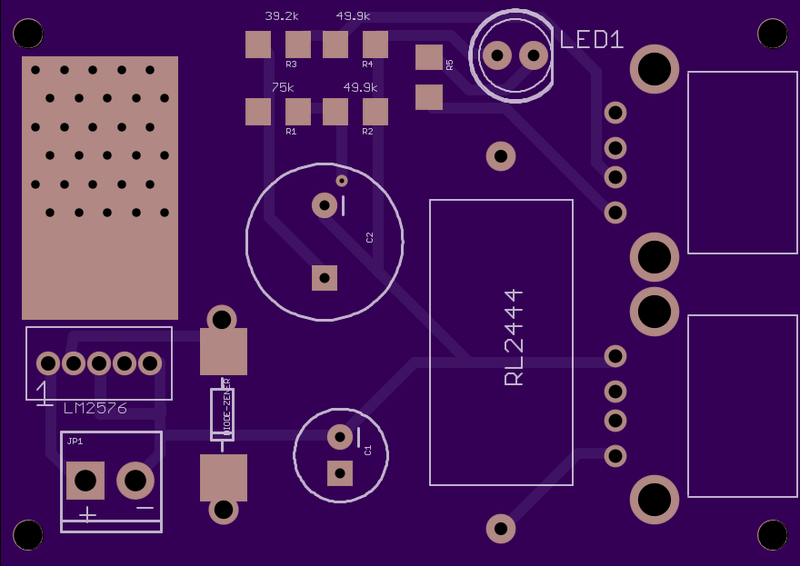 USB Charger V2 using OnSemi lm2576 switching regulator. It will provide 5v 3amp output for charging I devices. 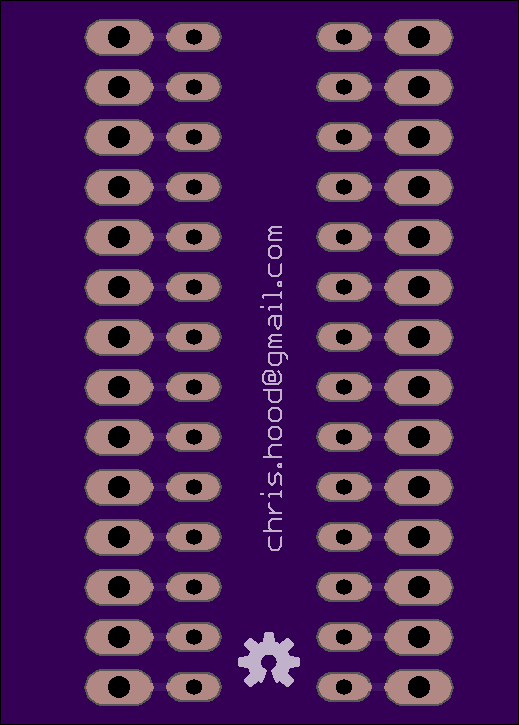 There are resistor dividers for making the correct voltages on the d+ and d- . 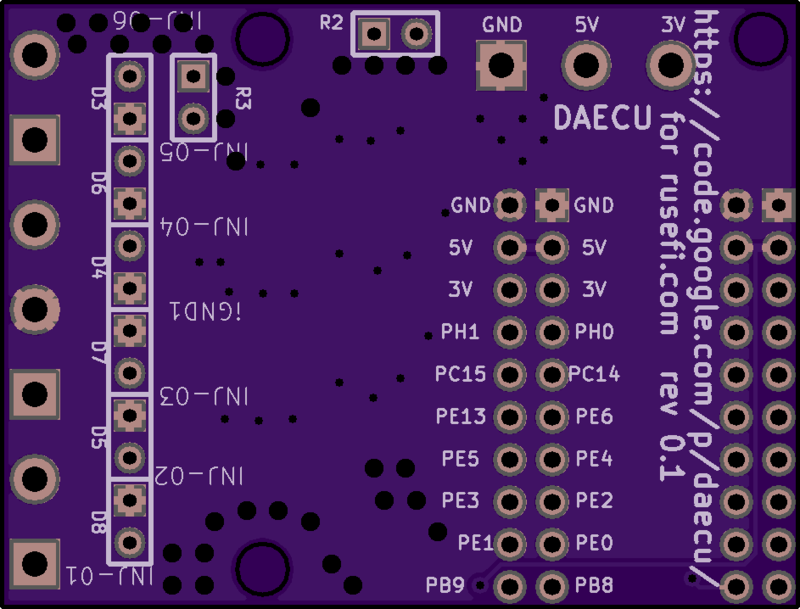 This layout is untested, but the schematic is fully tested and works well. There is one error on this board, it with the coil, it is layer out for an axial coil not the radial rl2444 that is on the silk. 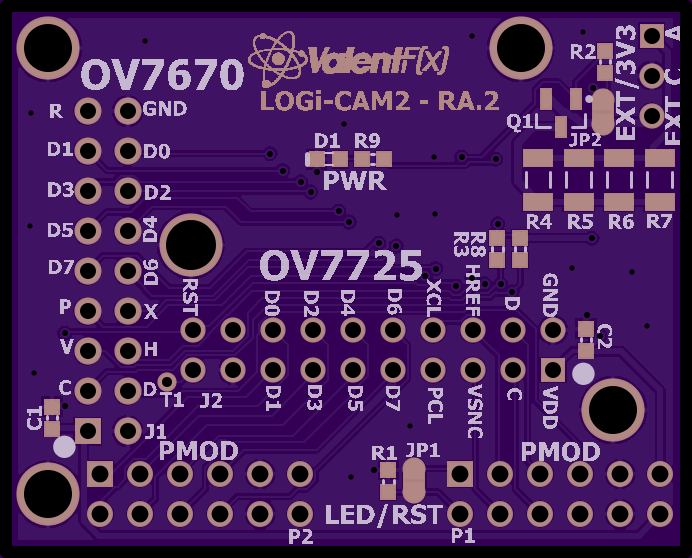 See v1 if you want to use the rl2444. I will update the description here with the correct coil when I get a chance. The correct coil should be coilcraft PCH-45X-683. 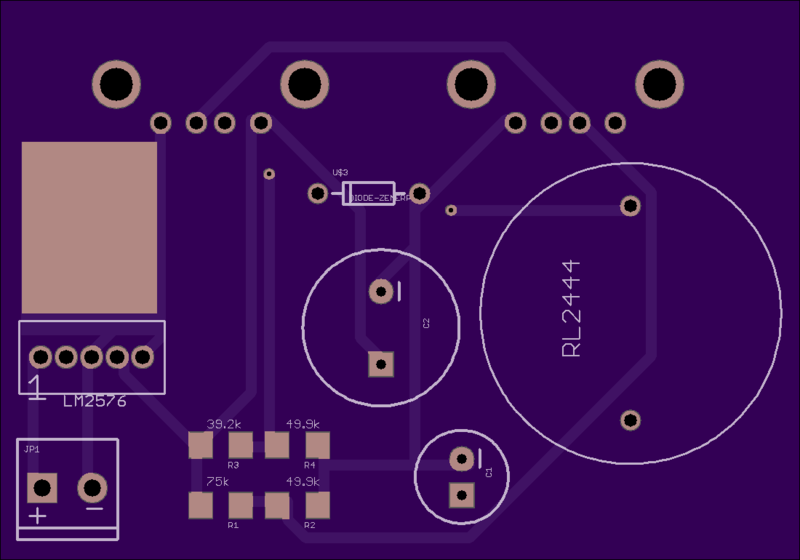 2 layer board of 2.20 x 1.54 inches (55.9 x 39.1 mm). Uploaded: October 11th, 2013 22:20. 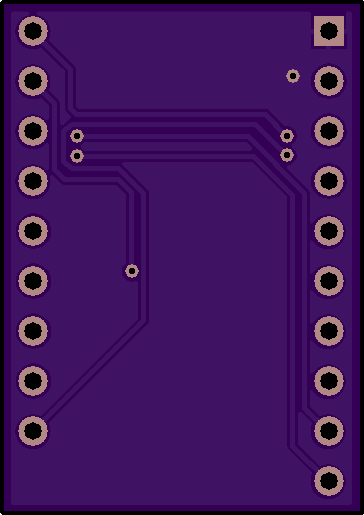 2 layer board of 2.52 x 0.86 inches (63.9 x 21.7 mm). 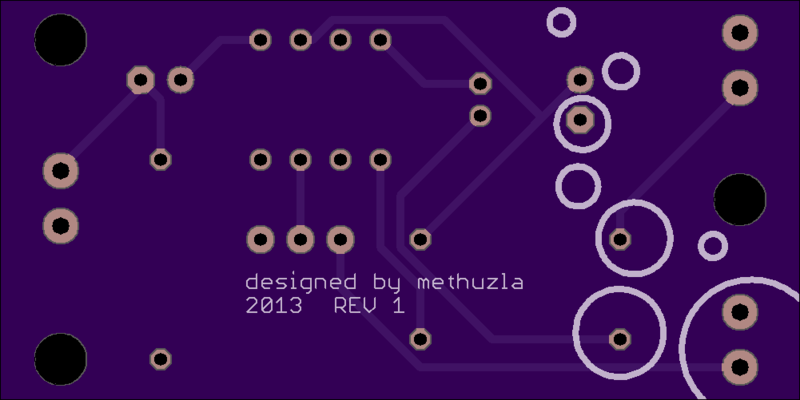 Uploaded: November 11th, 2013 23:13.
description: Autonomous 3 seven-segments display powered by an Atmega328P. 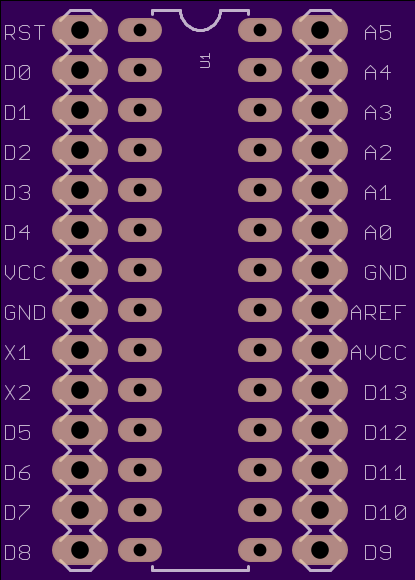 Main part list: 7-segments common cathode led display, ATmega328P, quartz 20MHz, resistors, capacitors. ==> See this Github for more info! 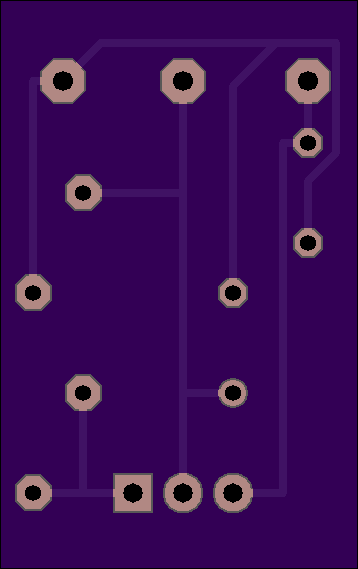 2 layer board of 1.62 x 2.12 inches (41.0 x 53.7 mm). Uploaded: November 11th, 2013 18:13. 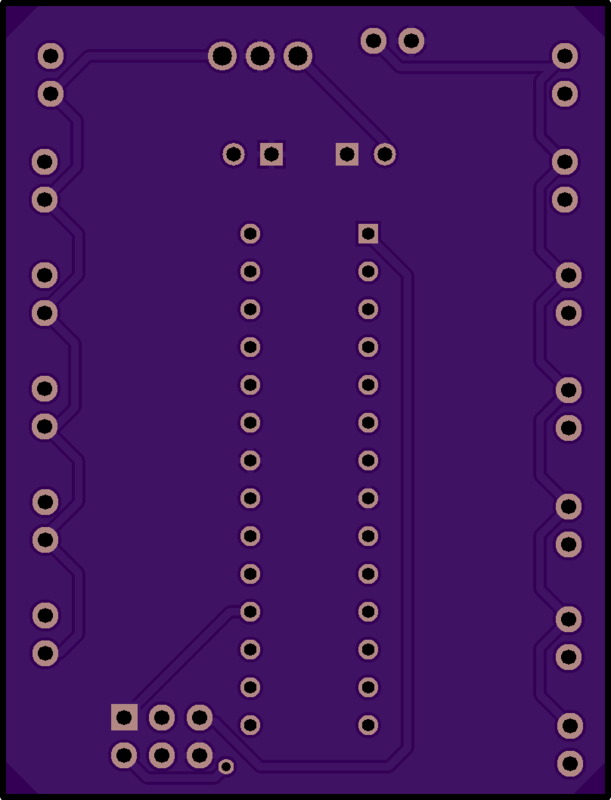 2 layer board of 0.45 x 0.40 inches (11.4 x 10.2 mm). Uploaded: October 15th, 2013 12:49. 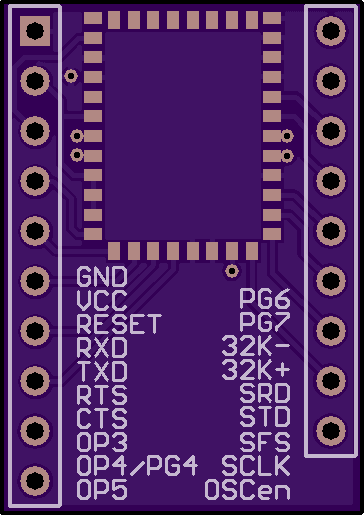 Just a little board to work with the cheap SMD ATTiny 85. 2 layer board of 0.73 x 1.03 inches (18.5 x 26.2 mm). Uploaded: November 10th, 2013 22:08. 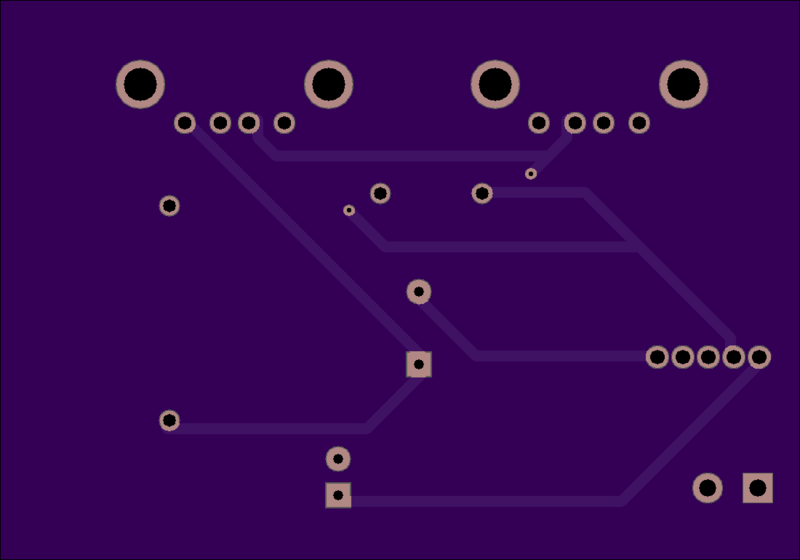 2 layer board of 1.89 x 1.44 inches (47.9 x 36.5 mm). Uploaded: November 10th, 2013 23:47. 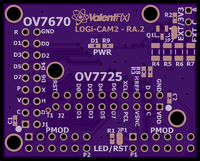 2 layer board of 2.22 x 4.77 inches (56.3 x 121.1 mm). Uploaded: November 10th, 2013 19:08. Pan/Tilt/Dolly camera control for timelapse photography. 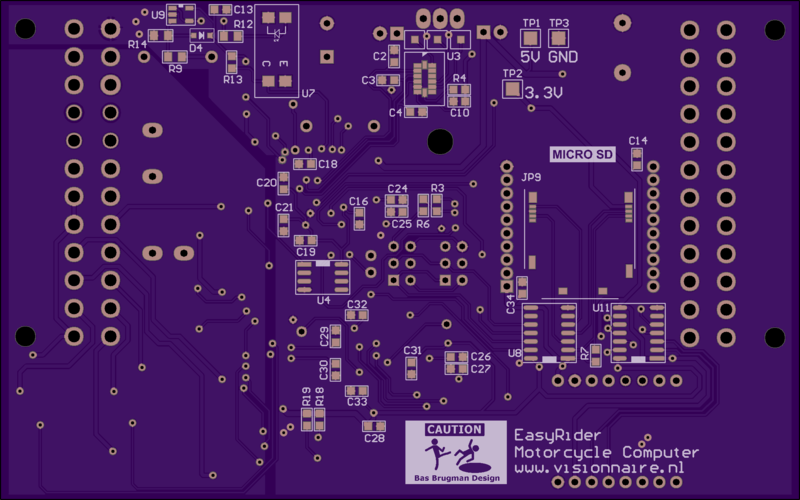 Controls three Easydriver stepper motor drivers from an ATMega328. 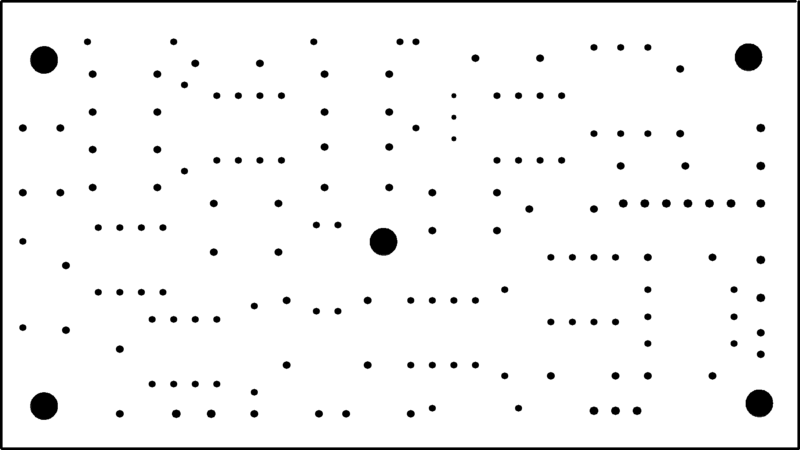 The camera is controlled via optocouplers. The circuit can also be used for a CNC router. 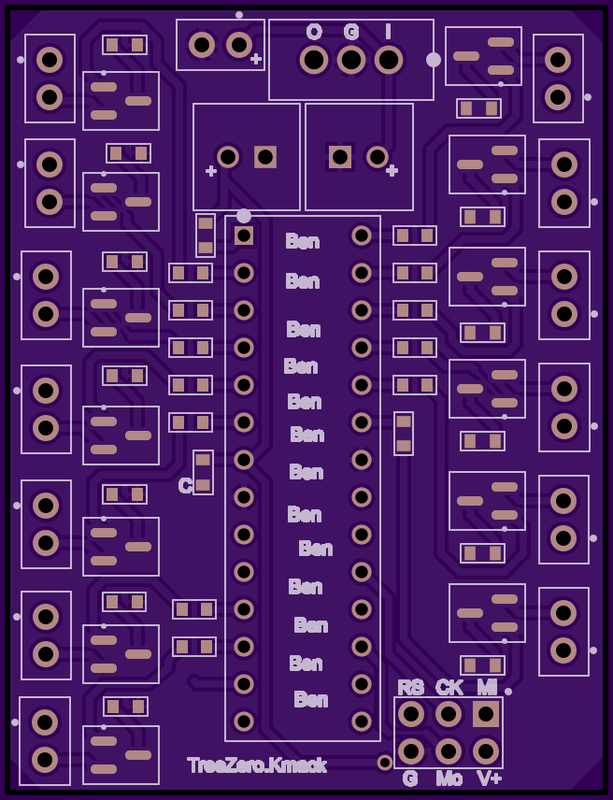 2 layer board of 1.04 x 1.45 inches (26.3 x 36.8 mm). Uploaded: November 10th, 2013 17:55. 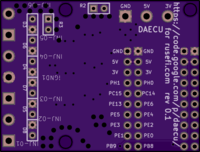 2 layer board of 1.01 x 0.41 inches (25.8 x 10.5 mm). Uploaded: November 10th, 2013 18:07. Uploaded: November 10th, 2013 18:35. 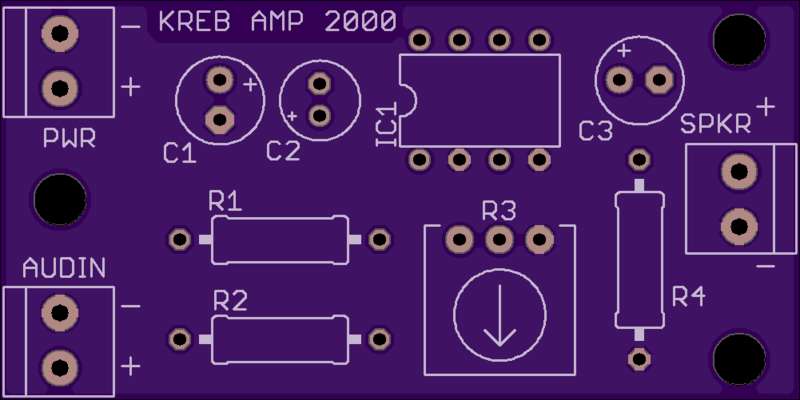 [TESTED: WORKS] Very simple LM386 based single channel audio amp. Use R3 to adjust gain.